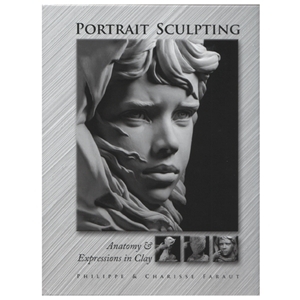 This first edition publication is a comprehensive book on “modeling the portrait in clay”. Provides exercises in “modeling the bones and muscles of the head and shoulders, techniques for modeling individual features, methods for correcting common mistakes, step-by-step demonstrations for working in planes, and a special section on repairing a shattered sculpture”. Offers a “foundation in anatomy as well as the aging process, mechanics of expressions, and advanced mold making”. Over 550 photos of 65 sculptures. Hardcover. 214 pages.